The Inayati Order (www.inayatiorder.org) was founded as the Sufi Order of the West by Hazrat Pir-o-Murshid Inayat Khan, a brilliant Indian musician, who came to the West in 1910 at the behest of his Sufi teacher, Sayyed Muhammad Abu Hashim Madani, who charged him with a mission: to harmonize East and West with the music of his soul. He had dedicated his early life to the mastery of the subtle intricacies of classical Indian music under the tutelege of his grandfather Moula Baksh, a musical giant who had integrated the Hindustani and Karnatic musical traditions of Northern and Southern India. While barely in his twenties, Inayat Khan received the highest recognition and honors for his artistic accomplishments. Inayat Khan was initiated by Shaykh al-Masha’ikh Sayyid Muhammad Abu Hashim Madani in the four main Sufi lineages in India, though his primary connection was with the Chishti Order. On September 13, 1910 Hazrat Inayat Khan began an odyssey which would encompass three continents and transform thousands of lives. He traveled continually in Europe and the United States, first learning about Western culture and mentality, and then conveying the traditional Sufi teachings in a more and more universel form. He eventually settled in Suresnes, a suburb of Paris, where he held annual summer schools. During only sixteen years in the West, he created a school of spiritual training based upon the traditional teachings of the Chishtiyya and infused with a revolutionary vision of the unity of religious ideals and the coming awakening of the human spirit to its inherent divinity. Pir Vilayat Inayat Khan, was his father’s successor and during his fifty years as head of the Sufi Order International became an internationally-recognized spiritual teacher and master of meditation. He was an avid student of many religious and spiritual traditions and incorporated the rich mystical heritage of East and West into his teachings, adding to it the scholarship of the West in music, science, and psychology. He initiated dozens of international interreligious conferences as well as convening spiritual and scientific leaders for public dialogues. He founded the Abode of the Message, a spiritual community in the Berkshires for over thirty years, and Omega Institute, a flourishing learning center. Pir Vilayat published many books on aspects of meditation and realization. His last book, In Search of the Hidden Treasure (2003), is an imagined congress of classic Sufi mystics commenting on contemporary and universal themes. Pir Vilayat passed on June 17, 2004. 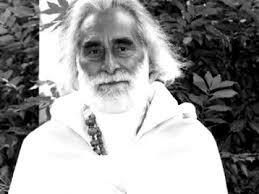 Pir Zia Inayat Khan is the president and spiritual leader of the Inayati Order, and a scholar and d teacher of Sufism in the lineage of his grandfather, Hazrat Inayat Khan. 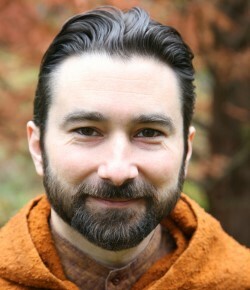 He is the founder of Seven Pillars House of Wisdom, and established the Suluk Academy, a school of contemplative study with branches in the United States and Europe. Pir Zia holds a doctoral degree in Religion from Duke University, is a recipient of the U Thant Peace award, and is a Lindisfarne Fellow. His anthology A Pearl in Wine: Essays on the Life, Music, and Sufism of Hazrat Inayat Khan was published in 2001, and his book Saracen Chivalry; Counsels on Valor, Generosity and the Mystical Quest was published in November, 2012.